Pictures are made of printed plastic which comes in sheets. Cut out as you need and mount on a flat surface or back drop. Looks brilliant with the stone wall backdrop. 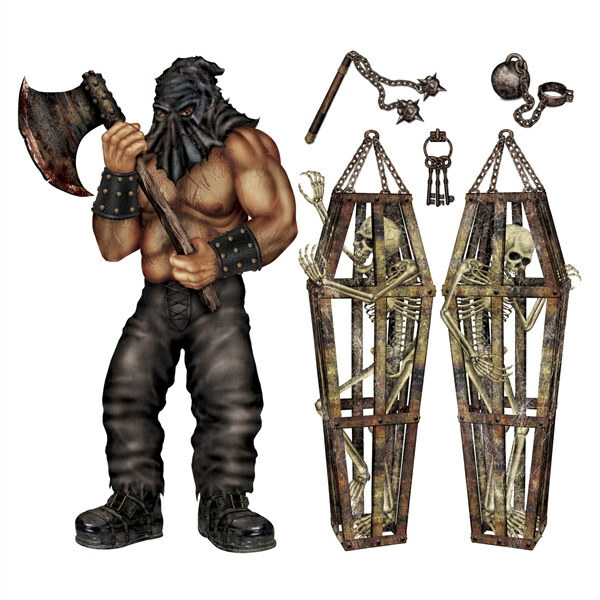 Pack contains 6 different pictures ranging from 1.57m for the executioner through to the hook and keys which are 23cm. Every castle has a dungeon!